This issue is the second to last print issue of The Bridge that will be published and mailed to the over 400 recipients currently receiving it. Print publication of this newsletter will end after the 2018 reunion. 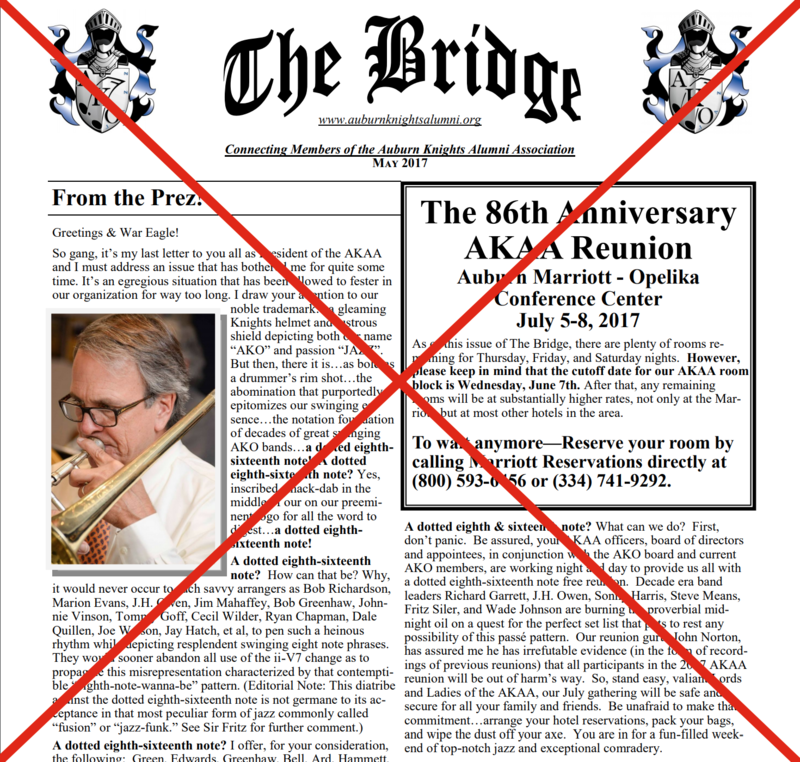 A recent audit of The Bridge mailing list revealed only 20% of the 410 recipients were dues-paying AKAA members. In other words, the AKAA had been unwittingly absorbing the cost to mail over $300 worth of printed newsletters to non-dues paying recipients with each publication of The Bridge. Published just three times a year, the print version of The Bridge cannot be as flexible and dynamic as modern web-based media. 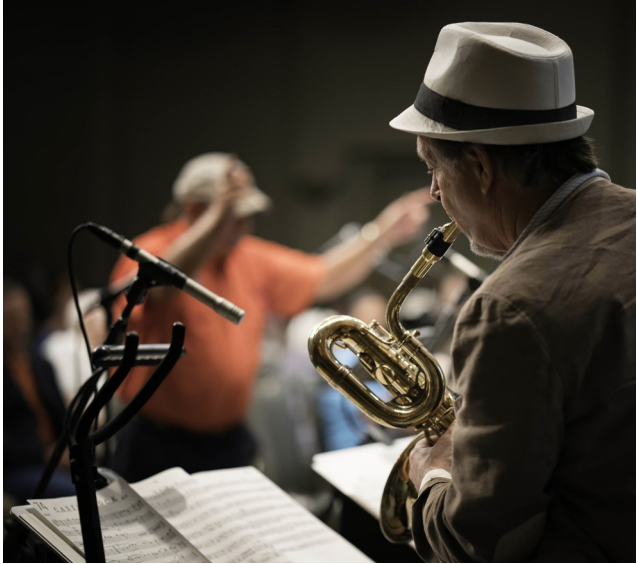 The updated AKAA website, auburnknightsalumni.org, is dynamic and flexible as well as a great benefit to the marketing of the AKAA and the Auburn Knights Orchestra. More importantly, the AKAA website is accessible 24/7 from computers, tablets, and smartphones. 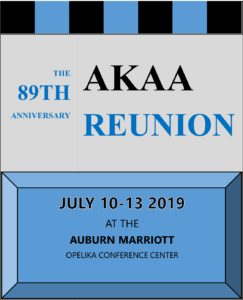 As it continues to evolve, the website can include provisions to pay AKAA dues on line, register for the reunion, make reunion hotel reservations, etc. 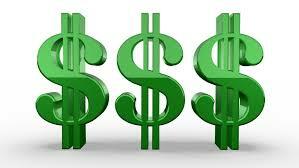 Terminating the printed newsletter will save the AKAA about $1,200 annually. Technology has dramatically changed the way information is disseminated. 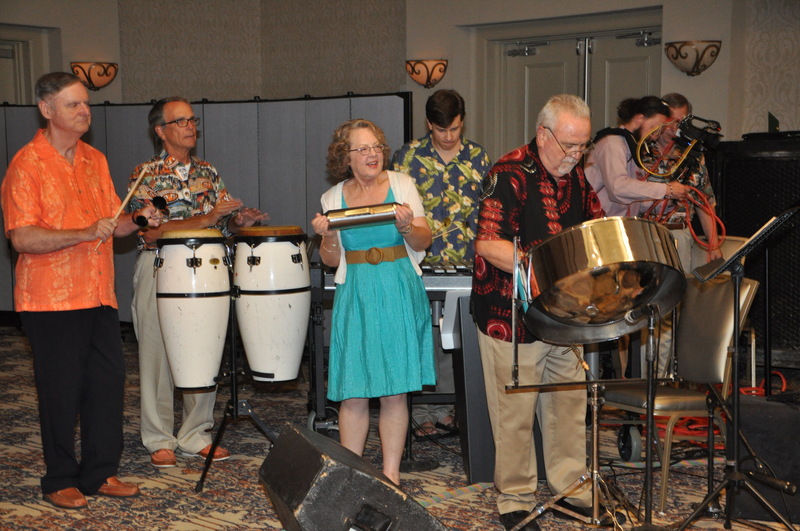 Like many organizations, the AKAA has recognized the need to change the way it provides timely information to its members.